iSupport Music Business in partnership with Alliance Française Durban present a Tribute to Mama Africa. 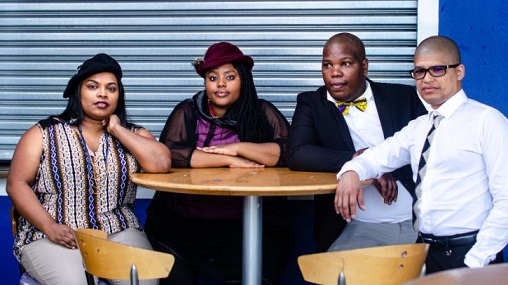 After a sold out show at the venue earlier this year, the Durban Tribute band is back for part two taking place on November 30, 2018, at 18h00. The month of November 2018 is marking 10 years since Miriam Makeba passed away and this was a good reason for the band and the venue to present part two of this successful show. Miriam Makeba’s career influenced vocalist Zama and her band members to such extend that they found it fitting to organise a tribute in the honour of Mama Africa that they have performed at various venues throughout the country in the past year. The band consists of Nick Pitman on guitar, David Smith on keys, Rebekah Doty on drums and Sbusiso Mkhonza on bass guitar. Zama and her band have chosen songs from different era of her illustrious career including favourites like Pata Pata and The Click Song, but also the ballads like Promise and the heart wrenching offerings that she penned when she was in exile. Mama Makeba was very influential, musically as well as politically throughout the continent. The show also presents an exciting new choreography by Ulozolo Dancers with Lucky Cele as choreographer. The concert takes place on November 30 at 18h00. Tickets R100. Booking is advised on afdbn@global.co.za or 031 312 9582. Drinks and food will be on sale at the venue. Alliance Française Durban is situated at 22 Sutton Crescent, Morningside.